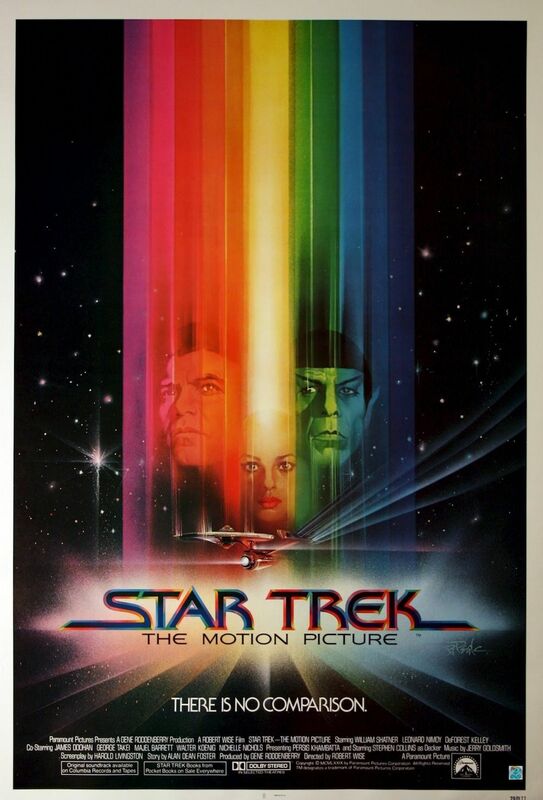 It is very easy to get wrapped up in the nostalgia of Star Trek’s first voyage to the big screen. Even if you were never a fan of the original series, with a crew comprising of William Shatner’s Captain Kirk and his First Science Officer, Leonard Nimoy’s Spock, you will still get a smile and maybe even goosebumps when the Starship Enterprise is revealed and an aging crew is back on-board. It is a full crew as well which is quite impressive considering the time-difference between the ending of the original show and this new installment in the overall franchise. It isn’t just the crew which returns in all their glory either, the iconic Starship is back and it has never looked better. In fact, there are plenty of moments throughout the movie which will startle with it’s visuals, especially when the crew are in space and experiencing the protagonist of the movie. Unfortunately, nostalgia and visuals can only get you so far. The plot itself is quite flimsy and considering this is the first new Star Trek that the fans would have received in ten years, you would expect much better. There is nothing much more to it than the Enterprise investigating a strange ship, covered in a weird cloud which seems to be destroying everything it comes in contact with. From there, the movie takes a strange turn. Science-Fiction movies leave the creators with endless possibilities which can be both a gift and a curse. This is demonstrated ably in Star Trek as the movie lacks any direction. There is a scuffle and rivalry between Shatner’s old captain and the newer captain Decker, played by Stephen Keller. Add to this a strange, romantic history between Decker and another new crew member, Ilia, brought to the screen by Persis Khambatta and then a strange sub-plot involving Spock which feels hugely under-developed and ends in a weird homage to 2001: A Space Odyssey. What is lacking more than anything else is a compelling villain. The film is primarily a mystery, with the crew trying to solve a puzzle which doesn’t particularly interest. With nothing of purpose to react to, the cast feel slightly lost and when your acting talent is as dodgy as William Shatner’s can be, that isn’t particularly a positive. The movie does somehow manage to claw back a reasonable amount of interest with the “reveal” of the mystery. Although heavy in a exposition and science “babble,” the conclusion to the movie is very creative and a good idea. Unfortunately, it comes too late and you wonder why this quality couldn’t have extended to the rest of the movie. Overall, Star Trek returns with a great wave of nostalgia and the visuals look very good for what they are trying to achieve but without a plot of any quality, it makes for a very shallow movie. Add to this some confusing sub-plots and strange acting from the “lead” and you get a Star Trek movie which disappoints after a ten-year hiatus. one of the weakest Trek movies, but somehow they still made more 🙂 Lots of boring scenes could have been cut to make this a great episode! Exactly. That is precisely how it feels, like a standard episode. I guess the name kept the series alive more than the quality. I haven’t seen any of the early Star Trek films but am keen to get stuck in. Really good review! Its a mixed bag. Every even numbered film seems good! I think the movie has a great unsung quality, it´s that it takes itself very serious, and thus, the public will take it seriously. One of the things is the “airport” procedures that makes it very real. For the first time, you could take “Star Trek” more seriously and not like a Hanna Barbera cartoon that you could forgive the colorful sets. It definitely does that. Brings the Star Trek series into a more modern time and away from the “camper” show of the 60s. Previous Previous post: Final Frontier Fortnight – The Launch!